On my trip to the UK, I was delighted to spy an exchange between the author Alex Marchant and Richard III on my Twitter account announcing the launch of Alex’s new book. The King’s Man is the second in “The Order of the White Boar” series about a page in the service of Richard, Duke of Gloucester in the year when he becomes king. Checking out the title, I saw that the books are written from a Ricardian perspective – that is, from a historical viewpoint of Richard Plantagenet that’s more sympathetic and draws more on the primary documents about his life than on Shakespeare’s play which, while a brilliant play, is in no way a documentary. Interest in histo ry’s true Richard has grown since his bones were discovered in 2012, giving us a more accurate representation of his ‘deformities’ (he had scoliosis, developed in childhood, but no hunch, withered arm or club foot as generally depicted in Shakespeare). With my own recent interest in Richard, I naturally made a point of being Leicester on the day of the launch so that I could pick up both books of the series and meet the author. I also met a peregrine by the name of Pilgrim, so it was in all an excellent day. Of course the icing the cake of that day is that Alex Marchant’s books are very good! Young page-in-training, Matthew Wansford, is the eyes through which we are given this possible history of Richard, Duke of Gloucester, stripped of the ficitonalised villainy of Shakespeare’s deliciously wicked character. Matthew can be a bit of a hothead, which is the reason he’s been sent from York Minster to Middleham Castle, the home of the Duke of Gloucester and his little family. Within the first page of the book, Matthew has made himself an enemy in Hugh Soulsby, but also a friend, his fellow page, Roger de Kynton. As Matthew learns his role and makes friends in the castle, he gets to know the Duke and Duchess, their physically fragile son, Edward, as well as Alys Langdown, a young lady under the care of Richard and Ann, but who is a ward of Queen Elizabeth. We see a Richard who is a good steward of his lands, beloved of the north, a great soldier in his brother the King’s service and a devoted father and husband. We also see some of his cares and burdens in a time rife with treachery, political uncertainty and the walking-on-eggshells need to find stability in the fractious York vs Lancaster lines. But none of this is told heavily or laden with trite or obvious exposition. Marchant’s writing is light and well-paced, with enough period detail for atmosphere without ever belabouring the point. We meet Matthew, his friends and these people from history as people, and get to know both fictions and real figures with all their strengths and flaws. You almost forget what’s coming. But this is fiction drawn from history, so everything is tinged with the dark melancholy of knowing how the framing story ends. For all that the history of the Wars of the Roses forms the backdrop, the story is very much about Matthew’s world, which interescts with greatness and with the times, but also with his own fears, ambitions, faults and gifts. We may know what’s coming for his Duke, but what will Matthew’s fate be? Or that of Roger and Alys, or of the bully Hugh? Through Matthew’s eyes, the complicated period where King Edward IV gained, lost and regained the throne is uncovered slowly. Marchant uses her knowlege of the period to write a very plausible history of what happened in the year leading to the death of King Edward. The result is a new perspective, fabulously written, fast-paced, and full of action and character. 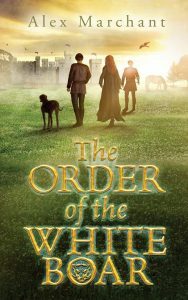 Whatever your thoughts on Richard III, The Order of the White Boar is a terrific book, which I loved and promptly went on to devour the sequel, The King’s Man. The Order of the White Boar left Middleham Castle in turmoil after the death of King Edward. 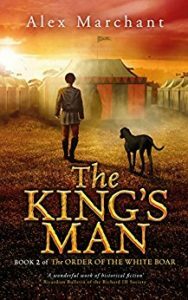 The King’s Man is another cracking read as it takes Matt, his friends and Richard, Duke of Gloucester, into the darkening future. As the last book ended, Matthew’s hot temper and Hugh Soulsby’s entitled bullying have landed Matt in strife. The King’s Man begins with Matthew joining Duke Richard on the road to London, where the Duke, named as Protector by his late brother the King, intends to protect the young boy king-in-waiting from the ambitions of his Lancastrian relatives, the Woodvilles. Matthew is soon to be separated from his friends and master, but he keeps in touch with events through letters and by paying attention as he becomes apprenticed to a new master in the capital. Rumours and plots swirl about, and sometimes facts, as Matthew sees the Duke begin as Protector and then, as parliament declares King Edward’s children illegitime, Richard becomes King – then suffering betrayal and loss after betrayal and loss. Matthew suffers losses as well, and it’s still through his eyes that we experience the confusion and tumult of this fraught period. Matthew’s flaws still cause him trouble, but his loyalties give him strength and purpose too. As the inevitable story unfolds of the reign of Richard III, the fate of Matthew and his friends remain the centre around which the whole revolves. Matthew becomes witness to great tragedies, but by the end he’s also witness to the truth of one of the great historical mysteries – what really happened to the Princes in the Tower? Where The Order of the White Boar skipped along with intrigue and only a tinge of melancholy, The King’s Man has a darker tone. 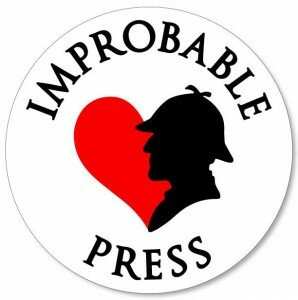 It’s still splendidly written, crafting a believable world full of characters who matter to you. And because they matter, this story is hard on the heart – not only for the people we know history laid low, but for the fictional characters whose fates are unclear. My heart broke for Matthew’s breaking heart as these fates unfold. We may know them, but every loss is fresh and terrible to him, and Marchant’s writing keeps them fresh and terrible to us, too. But she doesn’t leave us only feeling his losses – she gives us Matthew’s loyalty too, his determination to help the people he loves, and new dangers to overcome. New ways to honour the promises he’s made to his King. This is a book full of action, heart, fire and hope. A cracking read, and I highly recommend it. 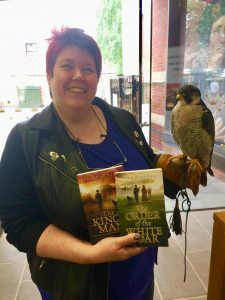 The books are available at the King Richard III Centre in Leicester and at the Bosworth Battlefield historical site, as well as the following online bookstores. 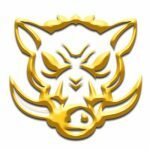 Previous PostNew short story: Earworm ArmageddonNext PostUpcoming rewards for my Patreon supporters!